Here in the Bay Area it already feels like spring. I'm overjoyed with the promise of clean crisp air and blooming flowers. I get positively giddy about dressing up during the springtime. 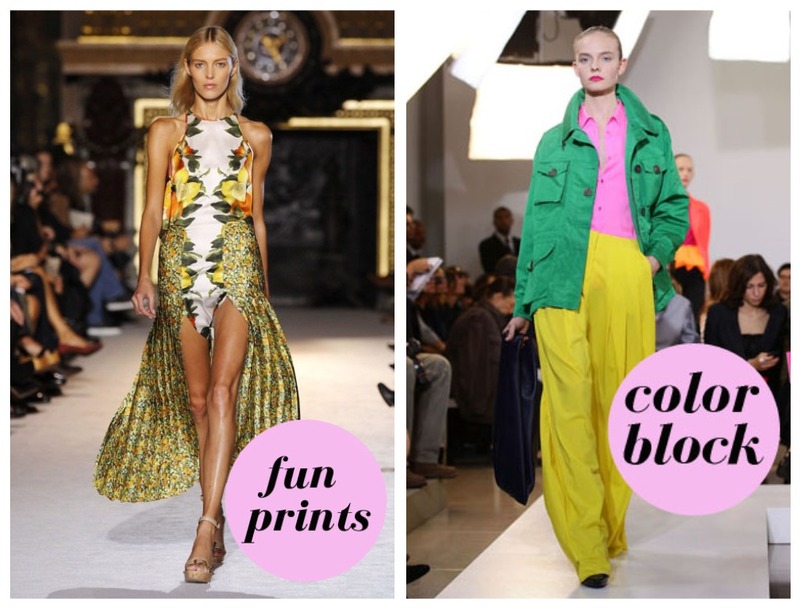 I yearn for pops of bright colors, feminine details and loud prints! To be honest I'm almost always happily obsessed with these wardrobe options. For me they are more like staples. I can't wait to turn the dial up on my inner girlie girl and wear more bows, flowers, and bright pink lips than ever before. 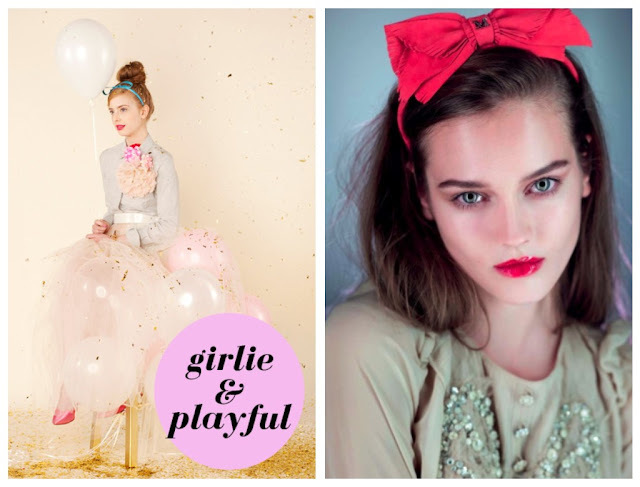 Spring trends are perfect for us Glitter Guide girls too. We're bursting at the seams with inspiration over at our Tumlbr. Have you seen all the fabulous girls who are contributing yet? What are you waiting for?! Ooh! Some fab outfits here! Loving the girly femininity of it all - and then the bright shots of colour are a welcome change from all the blacks and greys of recent years. Yummy! Summer here in Melbourne and I can imagine wearing all of these gorgeous collections on a beautiful sunny day. oh- i love your spring-trend post here. so much to love in the photos you're sharing. love theee spring trends!!! you have such great eye! ps i wanna be a gliiiiiiiiiittttttttttttterrrr guide girl!! ps#2 didnt know you stayed in the bay! Would have loved to meet up while i was there! :( next time! Great post! Love the girlie look. It's still very much winter around here, and I'm definitely not happy about it. But the anticipation of seeing all these trends come spring - however late it may be - really gets me excited. I need some colour and all around girliness in my life! Love glitter guide! I'm very much into the bold dress trend and super girl trend as per usual! I can't wait.....for the spring to begin!! !Totally in love with ladylike pieces,florals and bold colors(which seem to make a comeback every single summer).Great post! I am definitely looking forward to color blocking! I am so excited lace is still going to be around this season. I've been slightly obsessed with it since Prada's gorgeous 2008 fall collection. i can't wait to try out color blocking for myself. way too excited for spring over here in chicago! Can't wait for the bold colors! I absolutely love girlie and playful! It's so feminine and lovely. In most of your favourite trends for spring I agree with you :). I'm so jealous of your springy weather! I'm super excited for lace and girly trends for spring. loving your spring pics! Im all about bold colors and prints :) Fingers crossed our beautiful bay stays this way!!! I am so excited for the jewel tones and fun prints that spring will bring!! I need to check out your Glitter Girls...I think Miss Alicia is in your crew and she's terrific! ps-confession: i grin from ear to ear when i see notes from you! thx!! You are so welcome! Yes, please check out all the Glitter Girls! I'm so excited for spring! This post is super inspiring. Unfortunately there is a super thick layer of fog hovering over the central valley right now. I'm lucky if I get a peek of the sun! It's depressing, but I'm looking forward to the impending warmth spring will bring. Love your blog, as always. Loving all these trends and I love the Nor Cal weather! I love all of these trends! I wish I could pull them all off. loveong the tumblr lady!! you must be hard at work!! I'm really into the jewel tones! So beautiful! I really need more of them in my closet! love the first outfit! and that bold dress is stunning! Love that bright lipstick and lace outfit! 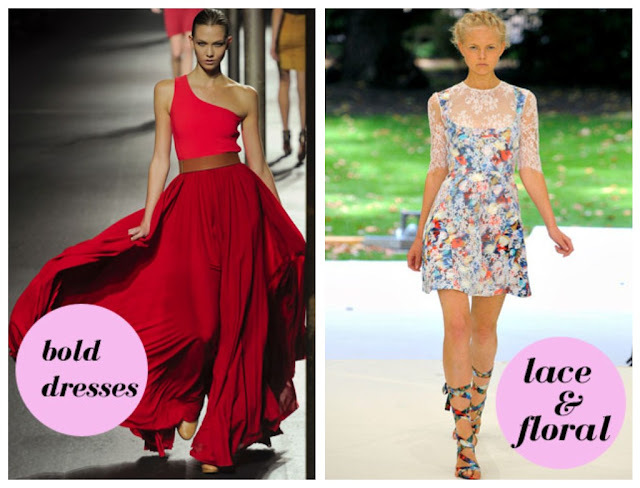 Love that red dress from Lanvin. It looks incredible blowing in the wind like that. oh i love this post. spring can not get here soon enough!! my favorite trends are the girlie and jewel tones! want. want. want. I love all of these! Gorgeous photos!